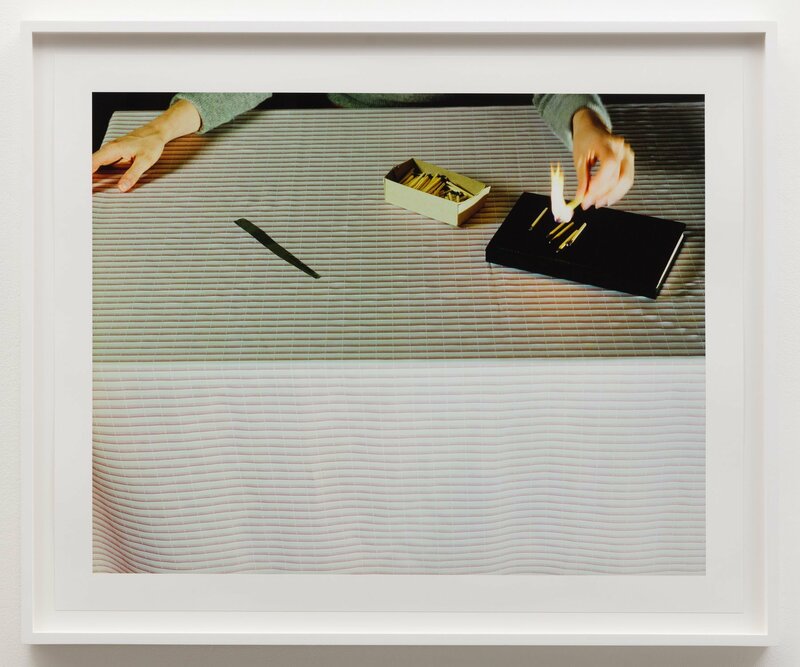 Anat Ebgi is proud to announce Lighting Matches, a curated project with Los Angeles photographer, Jo Ann Callis. On view in the gallery’s AE2 space from April 27 – June 1. An opening reception will take place on Saturday, April 27 from 5-7pm. 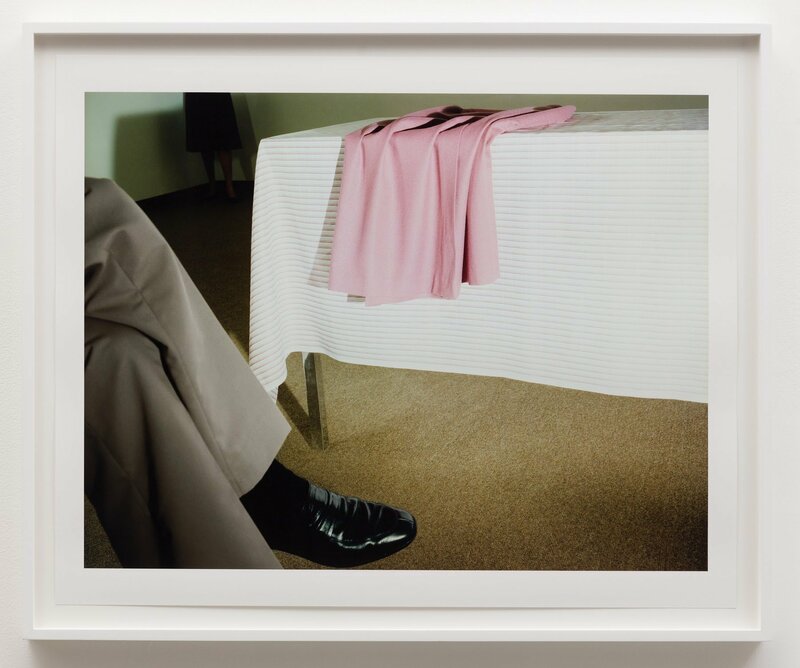 Callis is known for staging curiously complex photographs, rich with visual metaphors, both menacing and humorous. The selection of works in this exhibition draw from three decades of art making, with the earliest dated 1976 and the most recent 1992. 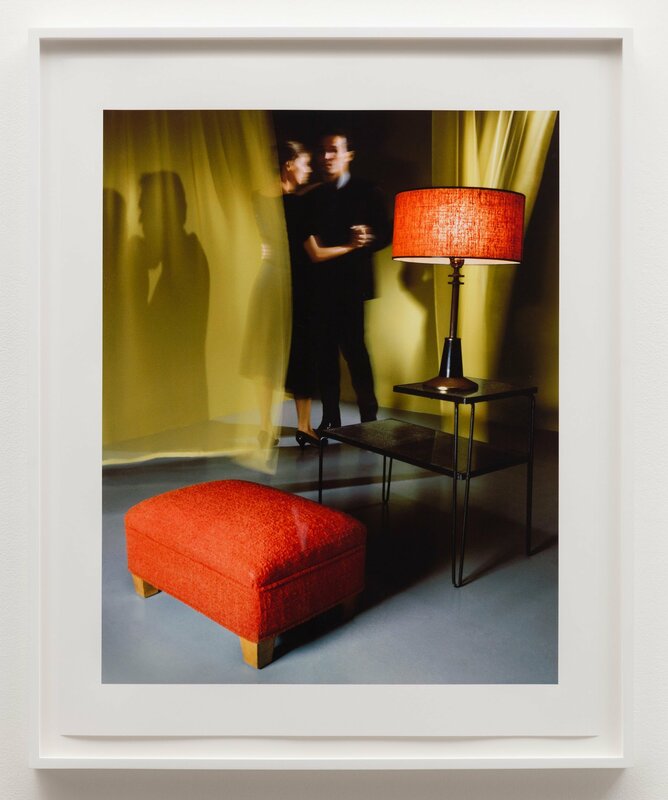 Constraining her work to interior and domestic settings, Callis explores the pleasure of familiarity and intimacy. 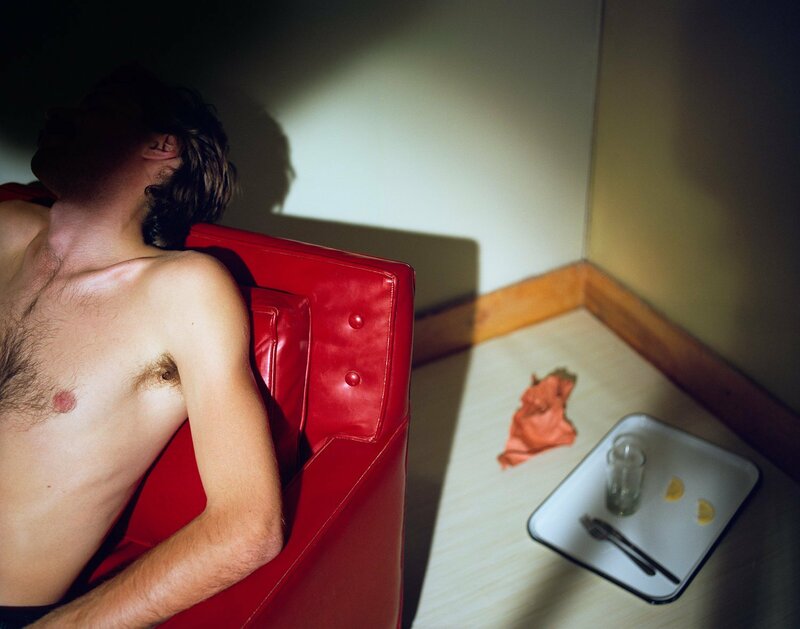 However, the resulting photographs disrupt what we come to expect from day to day reality. 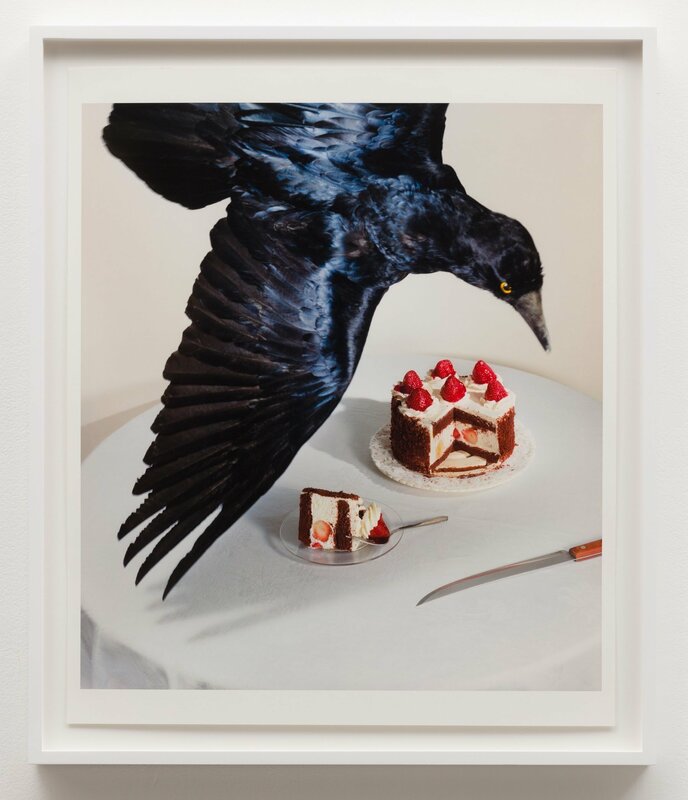 In Callis’s scripted, posed, and tightly structured universe, a pair of painted red toes smoke a cigarette, a raven descends upon a strawberry cake, and a woman the size of a lamp twirls with reckless abandon. The artist experimented with photography at the encouragement of her professor, Robert Heinecken, who she studied under at UCLA during the early 1970s. 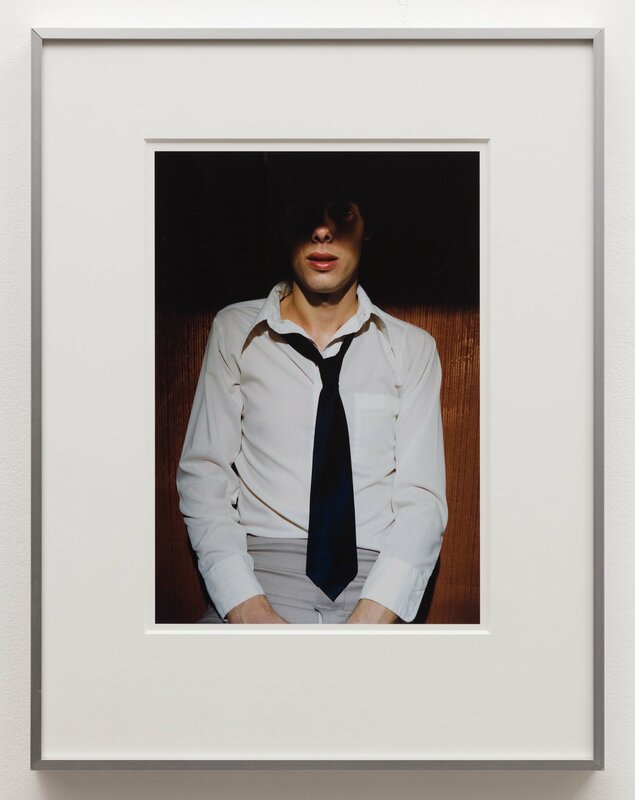 It was during this time Callis developed a distinct style of constructed compositions, as well as an affinity for working with color film before it widely was accepted in fine art contexts. Without imparting judgement, Callis explores human interiority—states of mind, such as joy, fear, pleasure, loneliness, and anxiety. 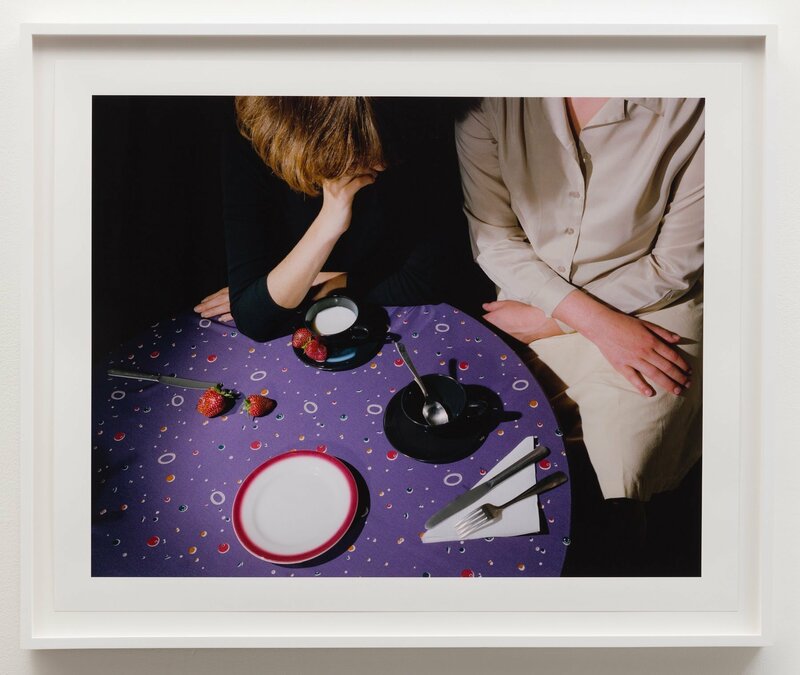 Obscuring her subjects’ faces through lighting, cropping or choreographic poses, Callis withholds individual egos and personalities from view, and it becomes the viewer’s job to add and interpret the emotional and psychological realities left in the wake. 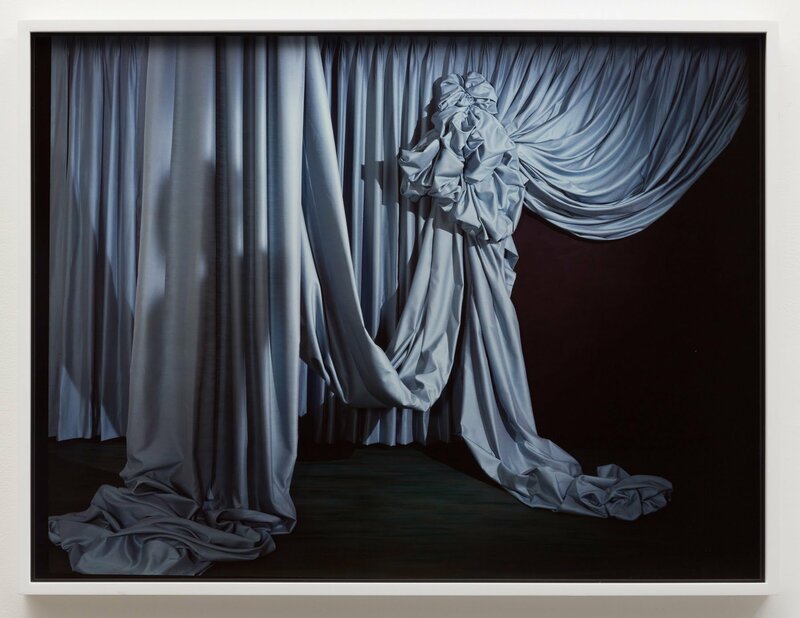 Callis’s work leaves one haunted with the sense that they have seen something not meant to be seen: a daydream, a nightmare, a fantasy, and challenges one’s ability to distinguish between each. Clarity between stillness and motion, leisure and work, pleasure and pain evaporates. Special thanks to ROSEGALLERY for their partnership in this exhibition. 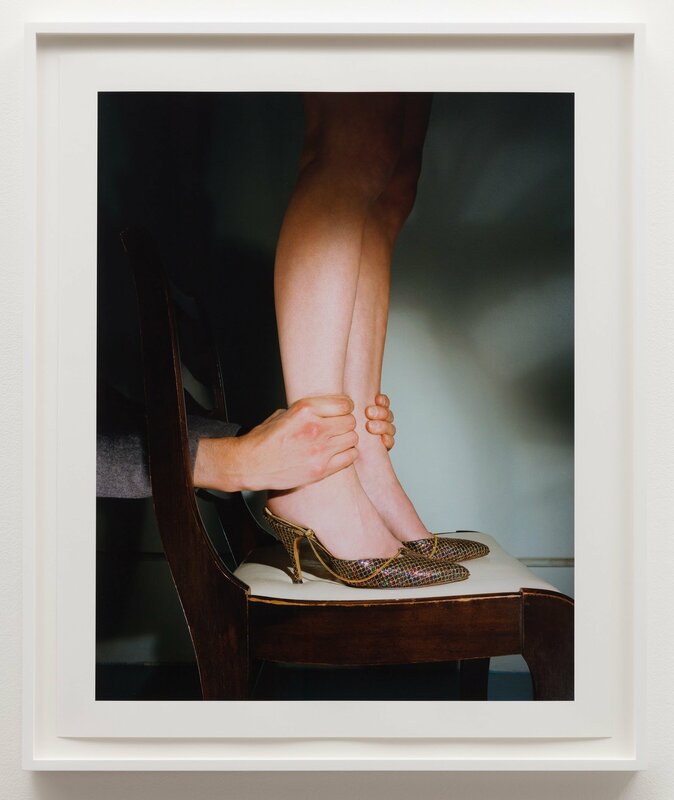 Jo Ann Callis (born, Cincinnati, OH) moved to Los Angeles in 1961. She enrolled at UCLA in 1970. Upon graduating she began teaching at CalArts, where she remains a faculty member of the School of Art’s Program in Photography and Media. She has continued to photograph, draw, and paint, and her work has been widely exhibited in such venues as the Museum of Modern Art, New York; Los Angeles County Museum of Art (LACMA); Hammer Museum; the Museum of Contemporary Art, Los Angeles; the San Francisco Museum of Modern Art and many others. 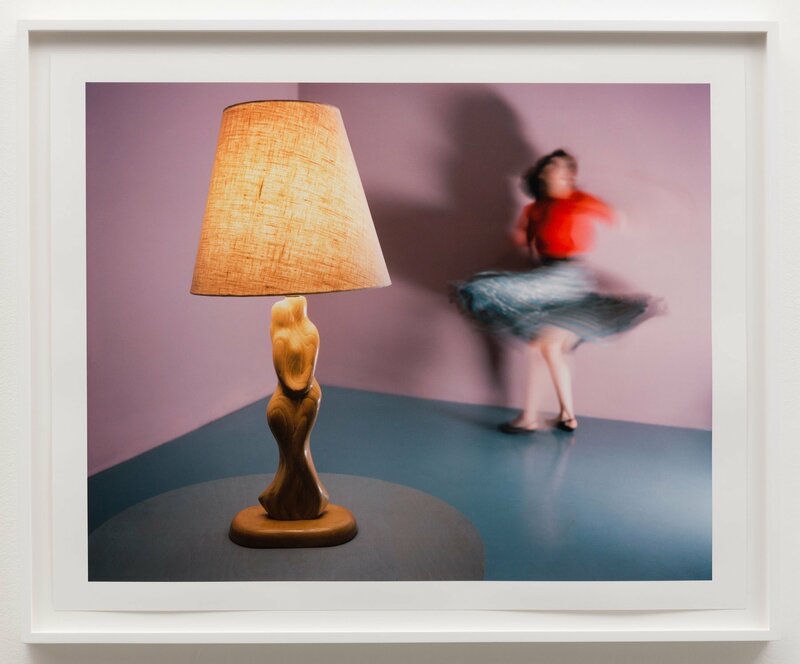 In 2009 a retrospective of her work, Woman Twirling, was presented by the J. Paul Getty Museum, Los Angeles. Callis has received three NEA Fellowships and a Guggenheim Fellowship, among other awards and prizes. All images: © Jo Ann Callis. Courtesy of ROSEGALLERY.